In the following series of posts, we’re going to be talking about the importance of online reputation for businesses , as well as what needs to be done in order to leverage the technology available for building trust, brand awareness and an expanding online presence. In this article we’ll begin with a core understanding of reputation and the place it occupies in relation to the R4 Marketing Framework for online business growth. 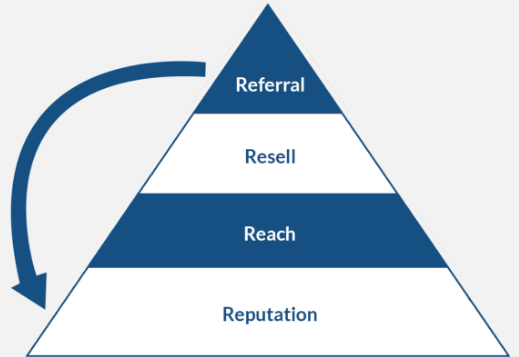 When we look at this pyramid diagram for the R4 Marketing System and Framework, we clearly see that “Reputation” is at the very bottom of the pyramid and is the solid foundation that the other three critical marketing systems build upon. If any business, regardless of size, is to achieve maximum success online they need to have all four of these marketing systems working well and in conjunction with each other. Let’s start at the beginning and gain a clearer understanding as to why having a great five star reputation online matters so much these days, and why “reputation” occupies the very base of this pyramid and is the solid foundation upon which the rest relies. It was right around 2002 when people started using the Internet in earnest to search for information about businesses they were interested in purchasing goods or services from, as opposed to their ingrained habit of automatically reaching for print Yellow Pages. where people could reach out to others in their networks for feedback about a business, or share their own unique personal experiences. An important statistic from the 2015 Local Consumer Review Survey found that 97% of consumers aged eighteen to thirty four read online reviews to judge a business before making a serious buying decision from that business! In addition, the same survey found that 92% of consumers in general now read online reviews for local businesses. This has been a colossal shift for the marketplace in the past decade and a half and yet there are many businesses that aren’t completely aware as yet, just how important online reviews, social proof and online reputation can be to their bottom line and the success of their brand. These percentages show how much more likely people are to contact a business with a 4 – 5 star review score over their competition. It’s clear from these findings that consumers take online reviews very seriously. In order to build a solid reputation and to be fully trusted by consumers, it’s important to receive positive online reviews on a continuous basis. Google likes to see fresh reviews (preferably 6 months to one year) being posted for local businesses on a regular basis and considers older reviews less relevant and important. Remember, Google is all about the user experience, so the older the reviews the less relevant or helpful they are to their users. It’s extremely important that businesses are not only aware of what is being said about them online but are also proactive about their reputation, taking as much charge and as much control of what others are saying about their brand online as they possibly can, as well as responding quickly to any negative or positive feedback posted. As a company that helps businesses with reputation monitoring and management, we have a software suite that automates the bulk of this work, including acquiring fresh new positive reviews as well as putting up firewalls against negative reviews – these are all key components for our client’s monthly reputation campaigns. It’s a lot of extra work on already overwhelmed business owners to try and manually keep track of reviews that are being posted online, whether on Google, Yelp or any of the many other directories where consumers post them, which is probably why many owners grow to resent the whole concept of reviews and the necessity of dealing with them in today’s environment. The best option, since getting good reviews often and on an ongoing basis is mandatory these days, is to automate this process and build up your review counts every month. The benefits of doing so are very real, translating directly into more trust for your business and ultimately, more authority and better search engine rankings in Google as more and more people likely to reach out and become customers. It should be clear from the information and statistics contained in this article, that establishing and maintaining a strong positive presence online is truly the foundation that the three other marketing strategies in the R4 framework must grow upon. Here’s an example of how a business could fall into the trap of putting the cart before the horse and doing “Reach” before “Reputation”. Let’s say you’re a struggling dental practice. You’re not booking enough new patients in every month so you decide to buy some television advertising. You pay a company to design an amazing video that highlights you, your office and the latest in dental technology that you have to offer. 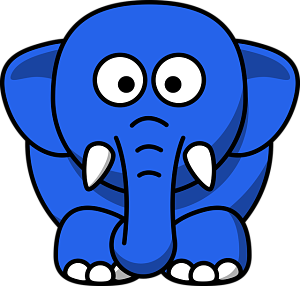 There’s one big elephant in the room, however. When people see your ad on television, IF they are even in the market for a new dentist, chances are they aren’t going to remember your phone number, but they WILL remember your business name. What are they going to do next? You’ve done this amazing outreach, you’ve produced this attractive television ad and a small percentage of people are interested enough to follow up and find out more, but because they don’t know you, they are going to go to Google and search for your business. Oh no! Your dental practice has a 3 star review total! Guess what you’ve just done! Whether you realize it or not, you have effectively paid a lot of advertising money for the direct benefit of your competition! Once people see your mediocre review count, they aren’t going to pick up the phone and call your practice, they’re going to call your competitor on Google that has a 4+ star review count instead. In our next post in the series, we’ll cover important information about reputation monitoring and management and why it’s essential to have this critical component in place and working on behalf of your business.